ELTA (English Language Teachers' Association) Serbia - Page 74 of 75 - Non-governmenal, non-profit organisation affiliated to IATEFL (International Association of Teachers of English as a Foreign Language) and TESOL (Teachers of English to Speakers of Other Languages). 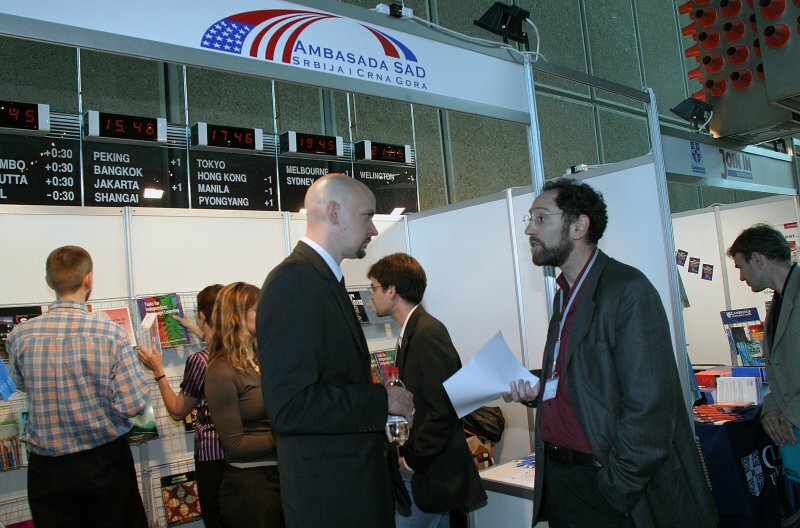 ELTA Serbia is the largest national English language teachers’ association. The program Towards Better Understanding has been running for three years now. 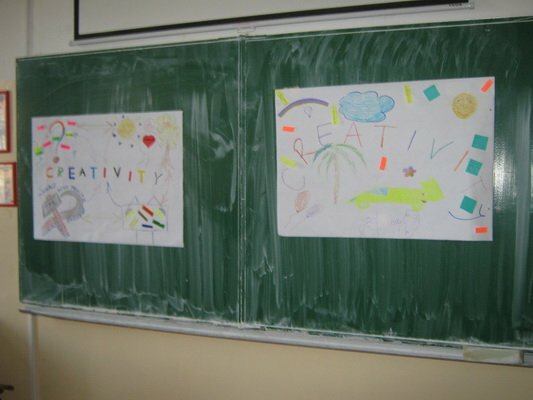 Yet, English language teachers from Ivanjica and nearby towns didn’t have the opportunity to take part until 19 the February. 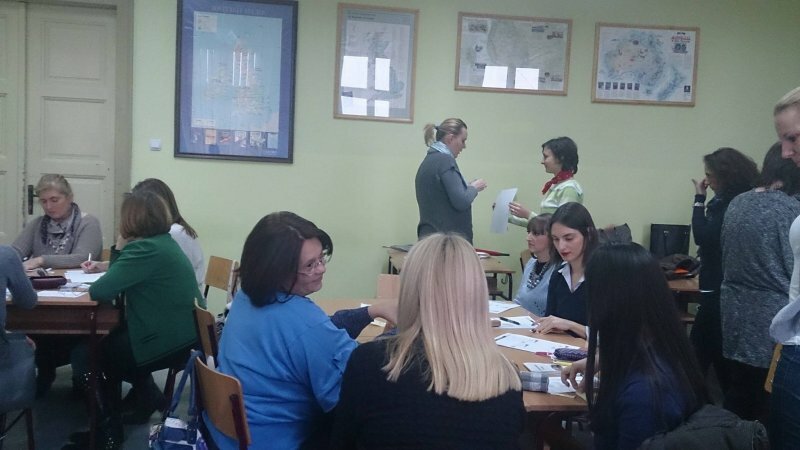 The seminar took place in Grammar School Ivanjica and it was attended by 36 enthusiastic teachers. One of the trainers who ran the seminar was Željko Andrijanić who managed to “break the ice“ and “warm up“ the participants at the very beginning with his “Warmers, Fillers and Ice-Breakers”. The teachers seemed to enjoy throwing the ice breaker ball, learning more about the presenter by asking questions and the luckiest managed to win the prize for their group in the general knowledge quiz. The afternoon session run by the same presenter was “Story Telling to Our Teenagers”. What the participants appreciated most was the fact that they were provided with the materials they could use when telling stories to their teenage students. 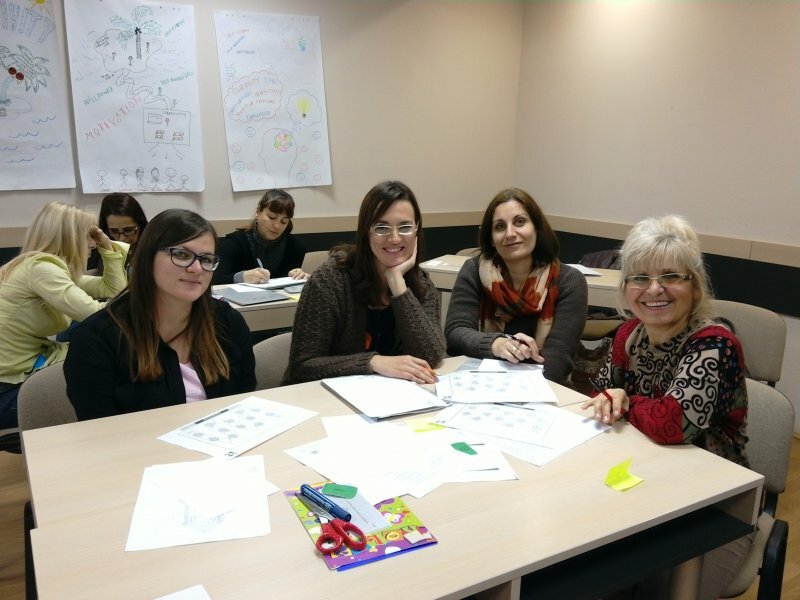 The participants were able to reconsider their beliefs about eliciting and asking questions in ELT in two workshop led by Katarina Ristanović, another SITT trainer. They had a chance to learn how to respond to a question with another question if it is necessary, how to solve mysteries questioning each other and use their students as valuable resource whatever they plan to do in their classrooms. At the end of the hard-working day the participants were invited to join ELTA and enjoy the benefits for members such as special rates for attending ELTA conference. ELTA – Excellent Language Teacher Award. We give this award as a token of our love and respect for all you loving people. If you want to become an ELTA member, or renew your membership, please send us a new ELTA slogan, something that could motivate teachers to join our association. Post your slogan on ELTA facebook page by 7th March, midnight, and Board members will award the most inspirational one with a free ELTA membership on Tuesday 8th March. If you already are an ELTA member, please send us your slogans, you may be awarded a free ELTA membership for the following year. IMPORTANT: On 8th & 9th March, we will also bid everybody a Happy Day 2, and the membership fee will be 1500 dinars only. Join Elta, join the joyride! A selection of papers will be included in our ISSN numbered E-book of proceedings. Speakers are invited to send their contributions (up to 1500 words) to elta.conferencemanager@gmail.com by May 1, 2011. The ELT e-reading Group was created by a collective of English language educators from all over the world with the technical support of the British Council. It aims at encouraging ELT professionals to read literature in English, helping to build bridges between cultures and contributing to build tolerance and intercultural competence through the discussion of works literature. The group meets online and participants post their comments to a discussion board, sharing their points of view on short stories and poems written in English. To make the reading material widely accessible, the texts are chosen from free online sources. A link to the text of the month is posted to the group discussion board and participants can download it. Texts are chosen based on their accessibility, interest and potential to raise debate on complex and relevant issues. Then you can join the group at http://www.teachingenglish.org.uk/group/elt-e-reading-group It’s easy to do. You will be able to talk to other readers around the world. Read the postings, then choose which to post to and click on reply. We hope to have you joining us soon. We have added the registration forms for the 9th ELTA IATEFL Conference on this website, so you can directly go to the registration page and download them. Please choose the appropriate form, fill it and send it at the address provided on the same page.